The South Asian collection (Kern collection) is being renumbered and will be moved from the Closed Stacks to the Open Stacks at the University Library. This is expected to last four months. During this period the Kern collection will be available. 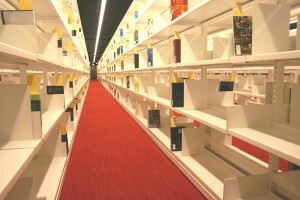 Repositioning of the Open Stacks will take place daily. This may cause some inconvenience. During 2016 more Asian collections will be moved into the Open Stacks.